With Coincheck reinstating the trading of the 17th largest cryptocurrency by market capitalization – NEM, the coin rocketed upwards with 16.52% gain in the last 24-hours. The re-listing of the digital asset came over 10-months later after one of the biggest crypto-verse hacks in history. More than $0.5 bln worth in NEM tokens were taken from the leading Japanese exchange. 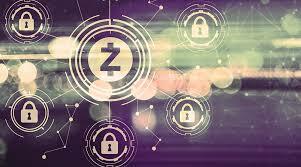 Professor in John Hopkins University – Matthew D Green – in 2013 introduced the protocol named Zerocoin. At that point it was representing an extension protocol for Bitcoin’s network to gear up the blockchain privacy game. With it users were able to destroy the coins while returning an equal value of them later. 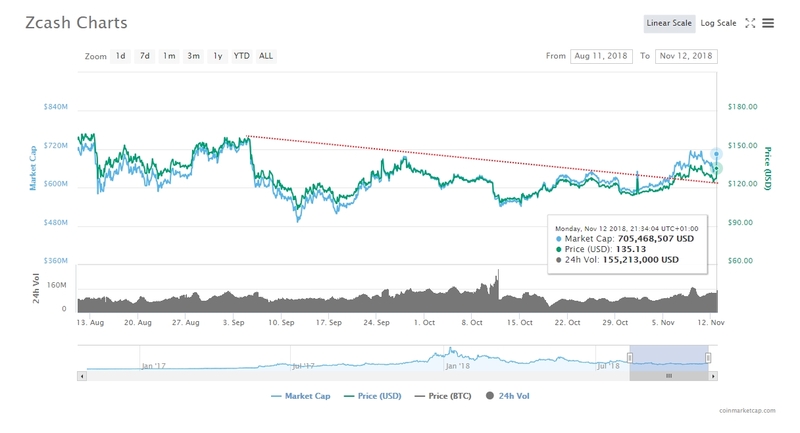 Per time of writing, the privacy oriented virtual currency, is following Ripple’s XRP and NEM’s bullish performance with a break above the monthly declining trend which now is acting as a supportive ground for further increase. However, despite reaching the level of $132.35 against the US Dollar, ZEC is struggling to overcome the major weekly $136.00 which resulted with slight correction. One rabbit-out-of the hat that could turn to a game changer for ZEC HODLers could turn the crypto-exchange Coinbase listing that is being predicted following ZRX and Basic Attention’s Token announcements. The exchange posted via twitter that it is experimenting with a few of the leading coins and ZCash was among the five chosen.